Welcome to BoatLetteringToYou.com. 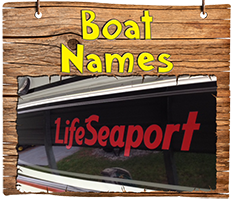 We are the custom boat lettering experts! Use our site to design and personalize your own lettering online. Welcome to BoatLetteringToYou.com. 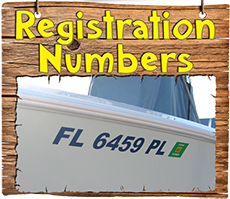 We are your best source for boat lettering. 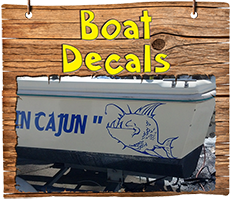 We have a huge selection of fonts and vinyls to create a personalized boat graphic. 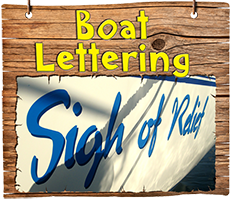 Designing your custom boat lettering has never been easier, our unique lettering designer allows you to design your boat lettering instantly! No need for proofs, what you design is exactly what you will get. Did we mention we're quick? Most of our orders ship out the next day. We have a huge selection of lettering colors with up to an 8 year durability. We also carry a wide variety of specialty vinyls.